I know I have talked about the skin effect several times on this blog and yet I never did a whole article about it. It’s time to fix that. We use the term “skin effect” to talk about how signals travel on the outer part of a cable’s center conductor, and how when it comes to signal the inner part of the cable is pretty much unused. There are two reasons to care about the skin effect. First of all if you are not using an antenna amplifer or any sort of power at all, you can use cheaper cable. 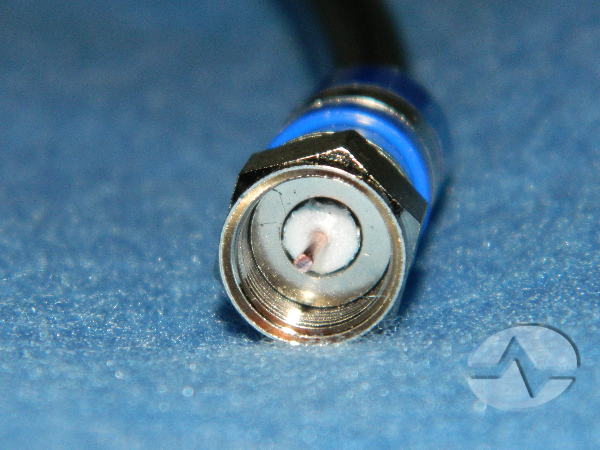 Less expensive cables use a thin plating of copper over a steel or aluminum center. This sort of cable is called “copper clad.” Copper is a much better conductor than steel, making it perfect for antenna cables. However, it’s also much more expensive than steel and it’s not as durable. Often times copper-clad cables are used even in commercial and industrial cases. That’s fine as long as there’s not any current going through them. With satellite TV, amplified antennas, and other cases where power is needed, the skin effect comes into play too. You need a solid copper center conductor here or else the power isn’t going to get where it needs to go. The current flows through the entire copper wire. The signal stays on the outer edge which makes it mostly immune to noise coming through the electrical system. (Yes, I said “mostly.” Too much noise is going to be a problem. 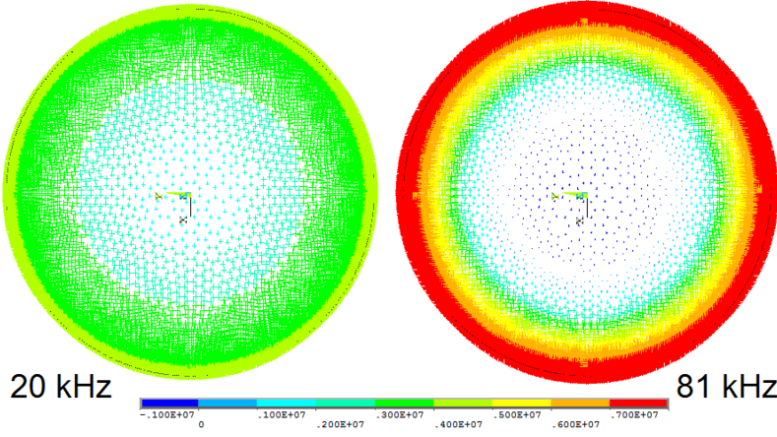 The other part of this whole thing is the dielectric. The word “dielectric” refers to the fact that the white foamy part of a cable (like you see above) can carry signal through it. It does almost as good of a job as air does, and it adds structure to a cable at the same time. The signal itself not only dances on the outer edge of the center conductor, but expands out to fill the dielectric. This makes it possible to carry a lot of signal through a relatively small cable. The outer edge of the dielectric is coated in metal to keep the signals from escaping. If the signals did escape it would make the cable useless. In that way, it acts as a waveguide. What does the skin effect mean to me? The skin effect means that you can use cheaper cable if that cable won’t ever, ever carry power. Never use copper-clad cable for satellite, because it pretty much always carries power. Never use copper-clad cable for amplified antennas for the same reason. Older cables can be less effective if the skin of the cable has been nicked or damaged. That’s where all the signal hangs out. The dielectric isn’t just some cool foamy thing, it actually carries signal. If you’re looking for any sort of cable of course your best bet is going to be SolidSignal.com. We have the best selection of both copper-clad and solid copper cables, plus the best in specialty cables! Time Warner Cable drops prices (and pants) – will DIRECTV look? Televes DATBOSS LR Now in Stock! One multiswitch for DISH and DIRECTV?